New Orleans Mayor Mitch Landrieu Wednesday accused the head of Immigrations and Customs Enforcement or ICE of being “just plain wrong” about how big city mayors deal with illegal aliens. 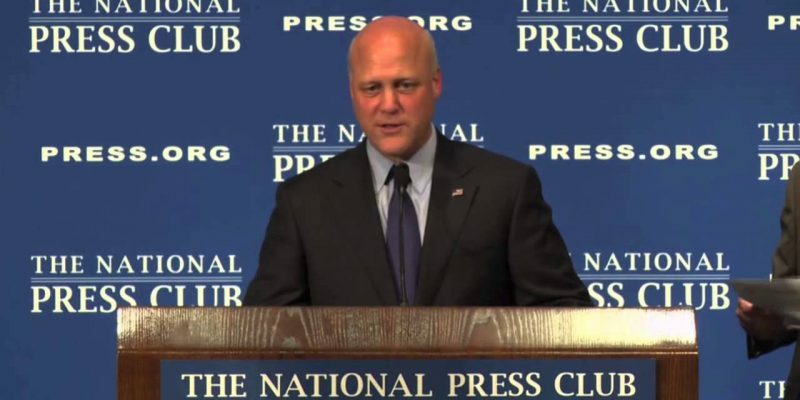 The Trump administration fired back at Mr. Landrieu’s comments calling them limited. “That kind of rhetoric is really not helpful, especially from that particular podium,” he said of Homan’s comment. But Mr. Landrieu forgot to mention he’s ordered NOPD officers not to inquire about the immigration status of suspects they encounter. Mr. Landrieu also prohibits police from asking witnesses and victims of crimes about their immigration status. And Orleans Parish Sheriff Marlin Gusman has also refused to hold detainees on ICE’s requests. Lest you think Louisiana doesn’t have an illegal alien problem consider this. 5,339 illegals in our state receive food stamps. Illegals are a $3.2 million burden on Louisiana state prisons and illegals get $16 million for Medicaid welfare coverage. Asked during the Wednesday press briefing about Landrieu’s rebuttal, White House Press Secretary Sarah Huckabee Sanders said Landrieu’s views are limited and that the administration stands behind Homan and his comment. Regardless of how often liberal think tanks and the media try to downplay illegals and their relation to crime the data reveals there is a link. New Department of Justice data shows that more than 90 percent of foreign-born prisoners held in the U.S. are illegal immigrants. It also shows that about 24 percent of the federal prison population are foreign born, 45,493. Of those, just 3,939 are U.S. citizens, and the remaining 41,554 are illegally in the United States. So why would Mayor Landrieu be so obsessed with protecting illegal aliens in the city he runs? Political correctness? Is he pandering to his left-leaning base? It’s hard to say what percentage of the violent crimes committed in New Orleans involve illegals since cops aren’t even allowed to ask their immigration status. This we do know. Under Mr. Landrieu, New Orleans has become a much more dangerous place and the mayor should be doing everything in his power to curtail the violence even if it means violating political correctness and asking criminals if they are here legally.